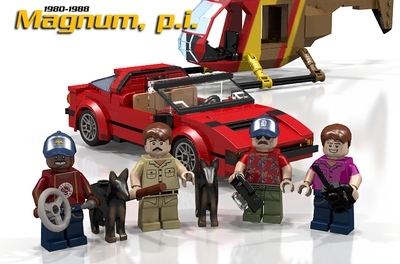 LEGO IDEAS - Product Ideas - Magnum P.I. This creation is based on the American television series Magnum, P.I. The main character is Thomas Magnum, a private investigator living on Oahu, Hawaii. The series ran from 1980 to 1988. As a start I created four minifigures of the main characters of the series. Thomas Magnum the private eye in the reddish Hawaii pattern shirt, Jonathan Higgins the sad looking guy in the khaki clothes, T.C. in the Island Hoppers T-shirt and Rick in the white collar shirt. 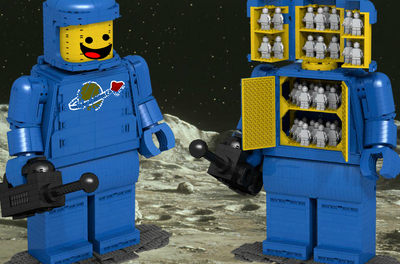 As you can see the minifigures have custom faces and custom painted torsos. Magnum has two face versions: one with sunglasses and one without. Both Magnum and T.C. have baseball cap and hair version too. UPDATE 01 - 2013.09.19. : I uplodaded the first 5 images here so you can check them in bigger resolution. UPDATE 02 - 2013.09.19. : I uploaded images of the minifigures in the project to my flickr account. Feel free to watch them here. UPDATE 03 - 2013.09.19. : I uploaded images of the VW bus, the Ferrari and the Audi together to my flickr account. Feel free to watch them here. UPDATE 04 - 2013.09.20. : Many of you missed T.C. 's chopper so I uploaded some images with it! I changed the 1st and 5th image, now you can see my concept of his helicopter. I promise there'll be more images about the chopper and about many other cool things too! UPDATE 05 - 2013.09.22. : I changed the image of Higgins. Now on the big picture you can see him with Zeus and Apollo! UPDATE 06 - 2013.09.28. : Fifth image changed, it's all about T.C. 's chopper now! You can check all the pictures in original size at my flickr account ! UPDATE 07 - 2013.10.01. : Second image updated. J.J. Walters alarmed me that T.C. 's wearing both a belt and suspenders clipped to it, so here they are, updated! UPDATE 08 - 2013.10.30. : Just want to say thank you to all who supported the project! That's why I put in a pic with Higgins saying that! Thank you guys and please show this project to everyone!
. Enjoy! And share it with your friends! 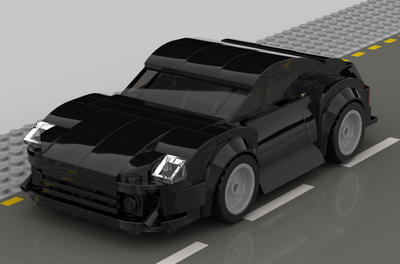 I created some typical vehicles of the characters too. Magnum has his red Ferrari 308GTS, Higgins is driving his Audi 5000 and T.C. his custom painted VW Caravelle T3. Some more vehicles will follow, since there’s only limited place for picture posting I plan to update the pictures regularly so new vehicles could appear or to make you see them from other viewpoints too. 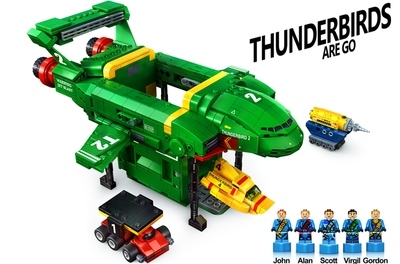 The minifigures fit into the vehicles as you can see. They are 6-8 studs wide and I still might update them. They are built of regular bricks. The VW Caravelle’s custom paint might be made with stickers, also the custom number plates (though they would look just cool if they were printed). 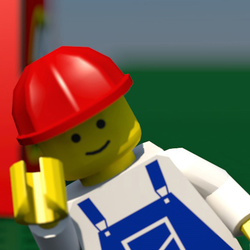 As I mentioned above I plan to improve the project, I might add accessories to the minifigures and scene elements to catch great moments from the original show. If you have any suggestions or comments please share them with me so that I could twist my ideas to your liking! If you like it please support this project and show it to your friends too! I'll post all my pictures in normal size to my flickr and facebook account so you can have a look at them there too! I'll post the link here too once it's done! Updates will follow so visit regularly or bookmark the project!